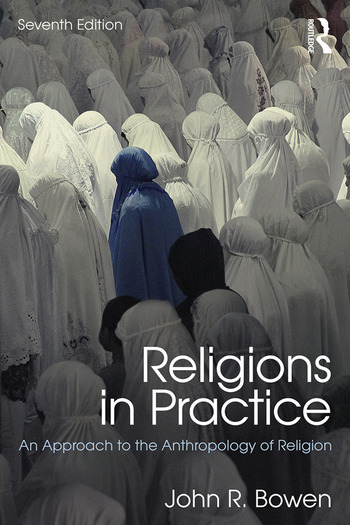 Religions in Practice provides a comprehensive and primarily theme-based overview for students of the anthropology of religion. Whilst covering traditional topics such as magic, witchcraft, and spiritual healing, the book addresses key contemporary subjects including migration, transnationalism, nationalism, secularism, and law. It offers an issues-oriented perspective on everyday religious behaviors and examines small-scale societies as well as major, established religions. Throughout the text Bowen engages with ongoing debates concerning the place of religion in public life. He successfully balances the presentation of theory and concepts with rich case study examples, integrating theoretical discussion with a wide range of cross-cultural ethnographic material. This seventh edition has been updated throughout. The opening section now focuses more clearly on the question of what is ‘religion’ and on approaches to studying religion. There is more on materiality as well as a new final chapter on religious mobilizing and violence. Further resources are available via a comprehensive companion website. John R. Bowen is Dunbar-Van Cleve Professor in Arts and Sciences at Washington University in St. Louis, USA. His research focuses on comparative social studies of Islam across the world.